I am constantly looking at the world with an objective eye, searching out the latest and greatest from the design world. I recently stumbled upon a great site where you can create your own eBusinessCards. This is brilliant! What a great way to get noticed if you are just coming back from an interview. Meet someone at a marketing event? Make sure you keep in touch. 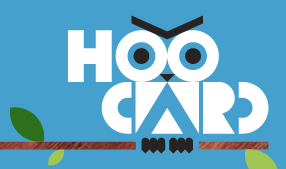 Check out Hoocard…maybe the next big saying is ‘Hoot Me’…hmm…maybe not?